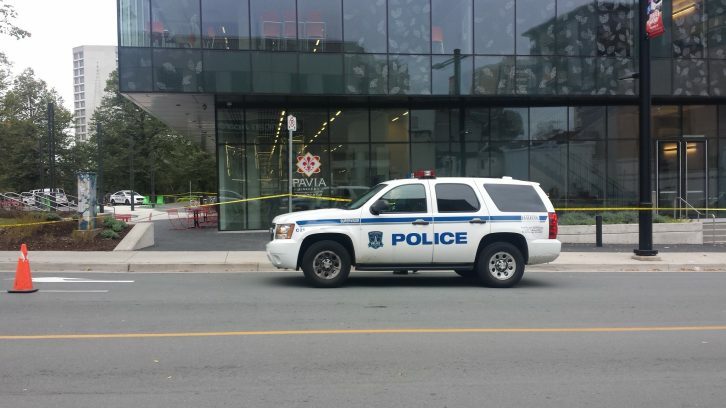 Halifax Regional Police want people with outstanding warrants to go to an event where they can set a court date and possibly avoid arrest. The inaugural Voluntary Surrender event will be held at the Dartmouth North Community Centre on April 29. The announcement was made on Tuesday. Voluntary Surrender is intended to allow people with outstanding warrants to avoid arrest at their homes, work or in front of family. Moser said HRP took inspiration from the Fugitive Safe Surrender programs in Ohio and Washington, D.C.
“They pick a date in a safe, neutral, non-police environment, invite the public to come in and have lower level non-violent criminal warrants dealt with,” Moser said of Fugitive Safe Surrender. Currently, the HRP have no clear expectations for Voluntary Surrender. The HRP media release said the initiative is the first of its kind in Canada. “Warrants can have an impact on someone’s quality of life,” said Moser. Outstanding warrants can prevent people from applying for jobs, volunteering in the community and prevent them from travelling. The program does not offer amnesty, but there will be resources available to help individuals through the process. At the community centre, a booking area will be set up so that officers can process warrants, and participants will have to show ID and have their fingerprints and a photo taken, according to the media release. Moser said HRP hopes to set up phones where people will be able to call Legal Aid from the community centre. He adds that the program does have its challenges, including the fact that it requires public belief that this initiative is a good opportunity. “How do you … build the ability for people to trust that we’re going to do what we say we’re going to do?” he asked. HRP plans to invite reporters to attend a run-through of Voluntary Surrender to give the public a better idea of what will happen on April 29.